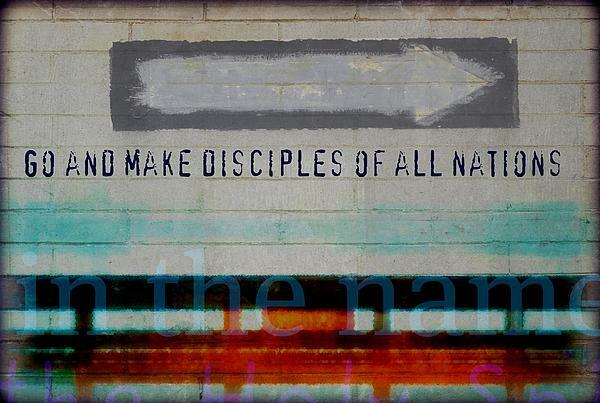 Making a Difference or Making Disciples? Jesus Christ did not simply call His followers to go make a difference. He said to go out to preach the Gospel and make disciples of all nations. (Matthew 28:19-20) The overshadowed drive of church organizations for social agendas of world PEACE plans, hunger drives, helping the needy, etc. only serves at best as a social band-aid, but in the end lead to eternal darkness. Mankind, and sadly much of today’s “Christianity”, has demonstrated an overwhelming desire to join together in godless unity in hopes of turning this fallen world back into the Garden of Eden. Dear strangers and pilgrims, may all those who have been cleansed by the precious blood of the Lamb simply choose to understand and know Jesus, grow in His knowledge and grace, and faithfully go in His power to make disciples of all nations, all for the glory of our great God and Savior! So awesome to know its not our “purpose” to make the kingdom now but just to look to the Lord of the kingdom and that is not here. How awful to think there are teachings out there claiming this is the kingdom. Look around, there’s no way this is His world. We know who is the god (satan) of this world and its evident by the bad fruit. Thanks for the encouragement! Agreed! The world continues to grow worse and worse, just as the Scriptures said would happen. 2 Timothy 3:13. What we believe about the end times does influence how we understand the character of God. May God’s Word, not the philosophies of men or the doctrines of devils, be our source of truth!